Matt Prater, who holds the record for the longest field goal in NFL history, notched his first career passing touchdown during Sunday’s game against the Packers. 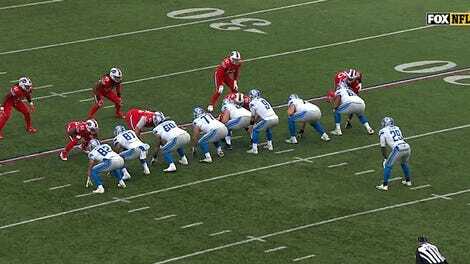 Prater lined up to attempt a 26-yard field goal, which would have added to the Lions’ 7-0 lead over a DeShone Kizer-led Packer team. But before the defense even had time to get settled, the ball was snapped, and Prater floated a pass to a wide-open Levine Toilolo in the corner of the end zone. He knocked the extra point through with ease, making for the rare play where a team’s kicker accounted for all seven points. Pat McAfee, former punter of balls who is seemingly running a high fever at all times, could not contain himself on the broadcast, screaming “Ooh, touchdown!” before the ball even left Prater’s hands. This launched into an operatic and howling monologue about the legend of Prater and the magic of this Week 17 pass that might help push the Lions to 6-10. For as little as this game matters, it’s still nice to see this sort of imagination in a stakes-free game late in the season. Fans need something to get excited about during a game that features one team that has entered the “DeShone Kizer pass complete to Robert Tonyan” stage of meaninglessness. May the other teams sleepwalking through the 1:00 slate take notes for next year.